T-Mobile CEO John Legere is voted the most powerful wireless executive in the U.S.
You are Here in Home » Tech News » T-Mobile CEO John Legere is voted the most powerful wireless executive in the U.S.
T-Mobile CEO John Legere is the most powerful executive in the U.S. wireless industry right now, according to a vote held by Fierce Wireless. 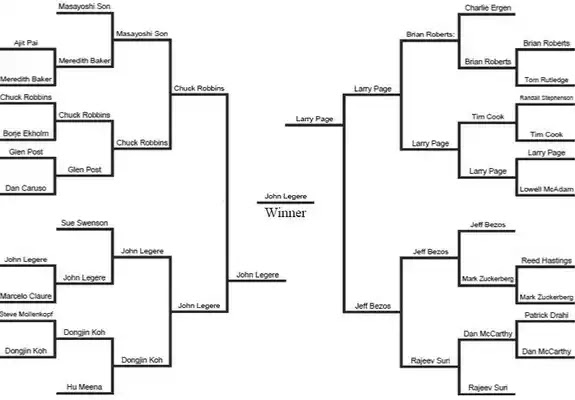 Held over several weeks, the finals came down to a face off between Google CEO Larry Page and the tireless Legere. The latter had defeated Sprint CEO Marcelo Claure and Samsung Mobile head Dongjin Koh during the last few weeks. So why is Legere so darn popular? A lot of it has to do with his style, which is to put customers first. In doing so, Legere speaks his mind and is ready and willing to blast the competition in order to make sure customers get what he thinks they deserve. He also has a rather wicked sense of humor and an acerbic wit that quickly destroys anyone in his path. And in doing this, he doesn't look nor act like any other executive in the industry. 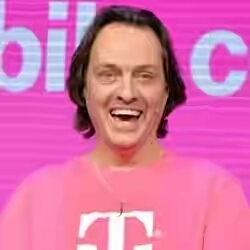 While most CEOs are wearing suits and ties and sport short hair cuts, Legere wears his magenta T-Mobile t-shirt, sneakers and shoulder length hair. Most wireless executives hide away in their office, separated from customers that they rarely interact with. John Legere loves to talk with customers as his Twitter page attests to. He is accessible, something that you don't see in corporate America. We've mentioned this before, and we believe that Legere is one of us; he is a smartphone fanatic. When a hot new model comes out, other CEOs are busy figuring out how many units they can move. T-Mobile's CEO is often seen with the latest handset in his hand. It is no surprise that manufacturers like BlackBerry and HTC have given him personalized versions of new models. Since Legere was handed the reins at T-Mobile, where he currently reigns (see what we did there? ), the carrier became relevant and the most innovative wireless operator in the U.S. T-Mobile has surpassed Sprint to become the third largest carrier in the states. He has led T-Mobile to a rapid build out of its LTE network (it seems like just yesterday when the carrier launched its 3G network), got rid of subsidies and contracts, led the way with Data Stash, Music Freedom and T-Mobile One. And to prove how powerful Legere is, almost every innovation he has come up with has been knocked off (usually missing some key elements) by the other three major stateside carriers. 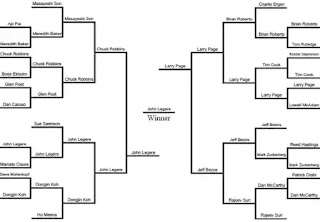 In the final round, John Legere garnered 92% of the 7,000 votes cast. Would Legere ever consider a career in politics? After all, he has already gone toe-to-toe with our incoming president in a battle that played out on Twitter (of course).